Please take the time to go over these reviews and testimonials if you have any concerns about hiring us to help you. You will see that we strive hard to satisfy our clients by meeting their goals. Before the advent of the Internet, it was very hard to know what you are getting in purchasing from a service business. A business might enjoy a good reputation, but that would be “word-of-mouth.” Now, a lot of third-party organizations specialize in providing unbiased reviews of products and services and place them for the entire world to see on the Internet. In the legal arena, Avvo is positioning itself as an authority site for the legal profession. 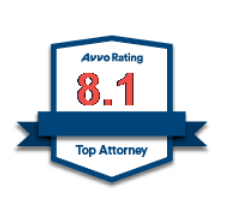 In rating attorneys, it also provides a way for clients to provide reviews. You can read our reviews here. As I write this, they are uniformly five-star. Google wants to own a piece of all of our lives in meeting as many needs as it can. Besides trying to find the best breakfast near me, Google wants to increase its role as a mediator between businesses and customers. Google my business is the result, enabling customers to leave reviews. You can check out our reviews on Google here. Again, at the time of writing this page our reviews were uniformly five-star. We were so happy when we received a letter from the USCIS with the green card enclosed. It was such a relief to know that all went well and the waiting was finally over. Our sincere thanks to you and your staff. Thank you so much. My parents received visitor visas. My dad understood your advice, but was skeptical. He was amazed when it worked. I look forward to them visiting shortly. Great advice and service – I highly recommend Chris Flann and Immigration Law of Montana for your immigration matters. Now that you can see that our clients appreciate our help in meeting their goals, we encourage you to get a strategy consultation so that you can learn how we can help you. Please contact us.